If you missed Round 1 of the question answering, you can see it... here. I'm hoping to answer the rest of the questions in this post. Here goes nothin'! 1. Christie from Ma Nouvelle Mode: What is your favorite book of all time (or books if you're like me and have a hard time choosing)? A: Hmmm. 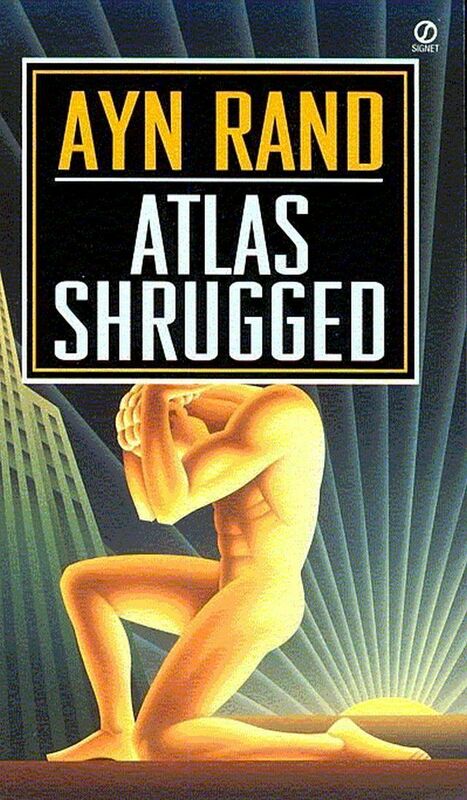 I think Atlas Shrugged by Ayn Rand is my all-time favorite book. I'm normally not too into that type of book, but I have read it 3 times now, and it just keeps getting better. On the totally opposite side of the spectrum, give me anything Nicholas Sparks and I'm a happy girl. Ya know, I'm pretty easy to please when it comes to books - I just love to read! 2. Kylie from Love Always: Out of all the places you've been in the world, which is your favorite and why? A: I sort of touched on this yesterday, but I mostly answered in terms of places other than the US. I'd have to say my favorite place I've been is Husker Stadium on Game Day. Wow. I'm lame. It's hard to get. If you're interested... you can read an essay I wrote on the atmosphere here. But... if you haven't lived it, you can't knock it down. Close seconds are: the bridge over the railroad tracks near my hometown where you can feel the trains pass beneath you, Disneyland, and Rothenburg ob der Tauber. 3. Kassi from Truly Lovely: If you had to choose TODAY, what would you eat for your last meal? A: Hmmm. Well, I would probably make it a steak dinner with mashed potatoes and gravy, mac'n'cheese, some tacos, salad with real ranch dressing, apples with JIF peanut butter, and some Vanilla Coke 0. Sound gross? Oh, well. You're not the one filling your belly with all that deliciousness!! 4. Kym from Bitty and Bunny: What things do you miss from America that you can't get in Germany? A: Oh my goodness. Where do I begin? Pants that are long enough, for one... but normal people don't have that problem, so... moving on. Ranch dressing, anything Mexican, normal pizza (not this thin crust crap that you can't eat with your hands without getting weird looks) mac'n'cheese, JIF peanut butter, skittles, starburst, real potato chips, cheetos, taco bell, in'n'out, papa johns, real beef that doesn't taste like crap. Basically anything that makes you fat... I miss. Oh, ICE. And free water in restaurants. And free refills. 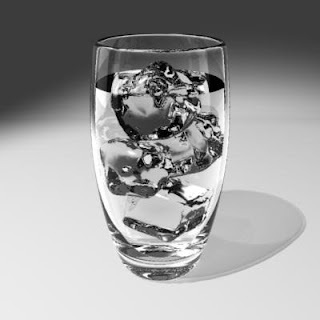 And cups that a normal human (as opposed to a midget) would drink from. Oh, and I miss my normal shampoo. I can't for the life of me find a decent shampoo that isn't 15 EUR a bottle. They also don't sell normal athletic socks here because they're freaks. There's probably more, but right now I'm drawing a blank. 5. 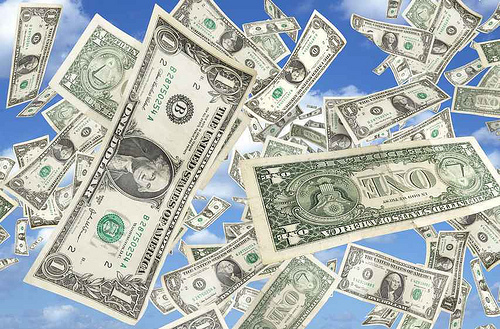 B. from The Opposite of that: If you won the lottery today, what is the first thing you would do? A: Pay off my student loans. Then pay for Mike's schooling. Then start a college fund for future babies with $10,000 in each. Then... buy a house. Then put the rest in savings. Okay, not gonna lie... I might buy a really cool tv and a whole new wardrobe somewhere in there. 6. B. again: What would you name the autobiography of your life? A: The Adventures of Abnormally Tall Alyx - How I Avoided Getting People Things from the Top Shelf and Other Stories. 7. B. again: What's the hardest thing you've ever done? A: You mean besides forcing myself to eat carrots so Husband will let me have ice cream for dessert? Ummm. I guess that would probably be pulling a complete 180 and turning my life around. You can read about that here. 8. B. again (overachiever. ha! ): What's your first memory of being really excited? A: Hmmm. This one is kind of a toughy. I think I was maybe 4 or 5 - we were living in Germany at the time. My grandparents had come to visit, and I was able to convince my grandpa to take me to the bakery with him. I was so excited that it was just going to be the two of us, and even more excited when he let me order all by myself and helped me say, "Danke" to the lady at the counter. Almost 20 years later, I still get excited about German bakeries. 9. Sarah from Shorelines and Sunshine and Sara from Sara in le Petit Village: What are you going to do after you leave Germany in July? Where do you think you will go? A: Well, we're going to move to Buffalo, NY so that Mike can retake a semester of school there, then it will be off to *hopefully* Utah so that both of us can attend UofU. Who knows where life will send us, though? Phew! Finished. Props if you stuck with me through that whole post. Hope you all learned a little bit more about me in the process! umm #4 just helped me so much! Must bring- boxed mac n cheese, a giant thing of shampoo and PB. I already have two giant boxes of costco tampons! Yay! And that ice thing makes me sad. I can't drink h2o without ice! I just wanted to let you know I tagged you in this eleven question post that has been going around blogger the last couple of weeks (; Would love to see your answers! Hey, on a kind of random note, I just received the last item that I won in your giveaway. Thank you so much for everything! It really was amazing, and such a generous giveaway. The bottom line is you rock. Thanks again! awesome autobiography title! haha! i love rereading books that i love - like harry potter, haha - so i will have to check out your favorite! Hahaha. All my questions made the cut! I especially love your answer to the autobiography. That right there is good stuff. I love this post like velvety slice of cake. (and not because I'm in it). We would enjoy a bomb last meal together, that's all I gotta say. And that we both leave Germany in July. I'm slightly depressed. 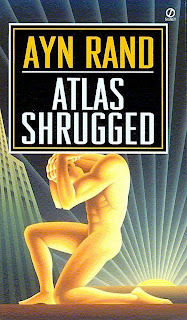 I am reading Atlas Shrugged for the first time right now. I'm so intrigued! Loving it. wait this is a great idea. i love it! I've never heard of that book, but if it's so great, I MUST read it soon! You poor thing - there are a lot of things that you can't get in Germany! If you ever do another one of these question posts, you should tell us what you'll miss about GERMANY once you're gone! Ok so... I have never even heard of Atlas Shrugged?? Guess I better look into that. That sounds like a delish last meal! Except I would trade the Vanilla Coke 0 for a Dr. Pepper! I miss pants that are long enough IN the U.S! And you're taller than me!! I would be a dead little honey without fatty foods. You are a brave soul. And probably a tiny little twig. Also. Holy expensive shampoo!? And. I want you to come to Utah. I brought back a few bags of fun size Skittles/Starbursts and Reese's PB cups for my students... I'm now hoping there will be enough to go around as I sit here stealthily pulling out a Skittles bag at a time like there's someone in here who can see me. Also, if I never had to try and eat pizza with a fork at a restaurant again, it would be too soon. I avoid ordering it just so I don't have to awkwardly cut it with a knife and fork. It's so bizarre. I think you summed it up perfectly when you said that you miss, basically everything that makes you fat. That perfectly sums up what expats miss about the US. That's it exactly.